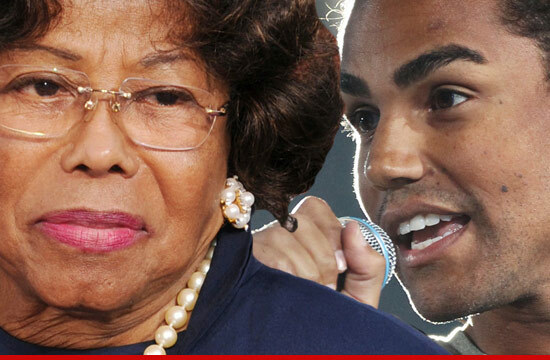 Katherine Jackson says she's had a change of heart ... and is now ready to SPLIT guardianship of MJ's 3 children with her grandson TJ. Katherine's attorney, Perry Sanders, tells TMZ ... TJ and Katherine will file a request for JOINT GUARDIANSHIP with the court early next week ... and they expect it will be approved. Perry tells us, "That pleading will essentially now legally reflect how Mrs. Jackson and TJ have often shared responsibilities of raising the children since Michael Jackson's tragic passing." Katherine's lawyer says the new arrangement "reflected the wishes of [Michael Jackson's] children" ... Paris, Prince and Blanket. If the court grants the joint request, Katherine's lawyer says TJ will be able to assume a lot of the day-to-day responsibilities that have been stressing Katherine out ... including management of household personnel and security. "It will also make clear for school personnel and anyone else coming into contact with the children that TJ is authorized to act on their behalf," Perry tells TMZ. "Mrs. Jackson will then be freed up to focus on the more personal everyday decision making related to the lives and activities of the children." Katherine's lawyer says the agreement would still empower Katherine to CONTROL THE FAMILY'S ALLOWANCE ... which is $70k per month. The arrangement also seems to make TJ a shoo-in to become the SOLE guardian of the children if Katherine dies while they are still minors. Katherine's lawyer concludes, "Mrs. Jackson is extremely pleased with the prospect of enjoying the pleasure of raising Michael's children without the day-to-day tedium of items such as managing the large staff that goes with such a high profile family and focus her attention on being a grandmother and raising Michael's children." Perry tells us ... TJ will file a petition to become the sole permanent guardian later today ... but that's just a formality because of a court imposed deadline. The joint petition will TRUMP that filing. 10:50AM PT TJ just filed his petition for permanent guardianship ... and TMZ obtained a copy. La Toya Jackson to Family -- Stop Fighting In Public!! !